So here's a review (after so many days!!).. 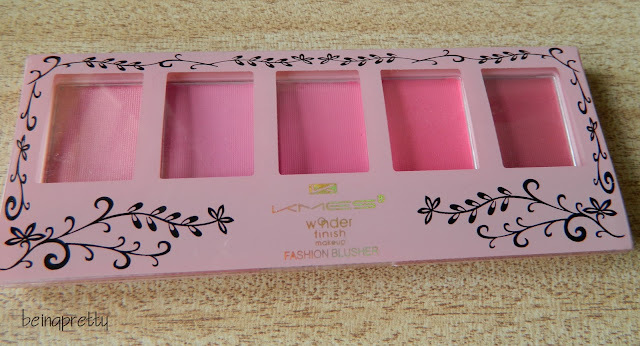 I am reviewing a Blush Palette I got some 2 months back..from a random brand for 200INR..just for the sake of trying out different blush colours.. I had also shown this in a haul post. 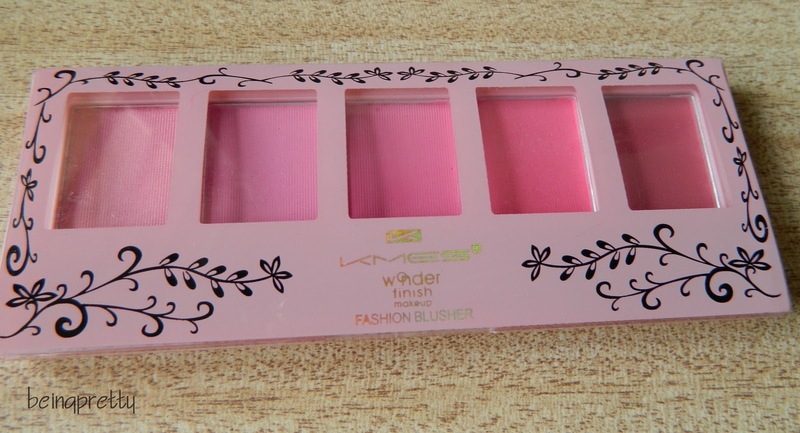 It has five powder Blushes, the 1st one with little shimmer and rest of the four are matte! The first one is perfect as a highlighter. 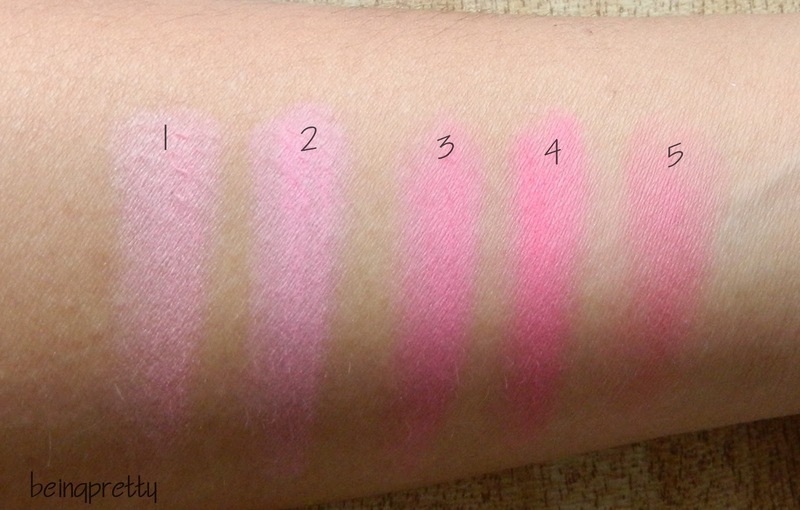 The 2nd and 3rd colours would look better on fair skinned beauties..I personally like the last two ones! 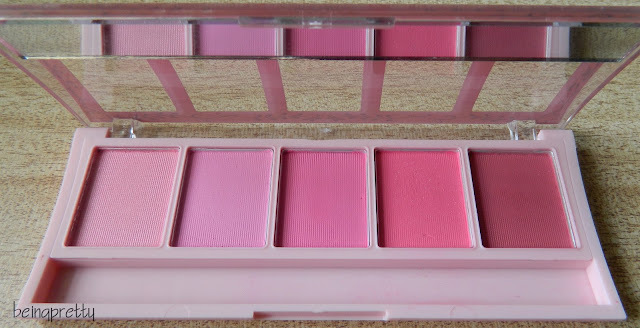 The pigmentation is good and staying power is also ok..So in all its a good buy for me!! What do you think about this? Which drugstore ones you suggest?